In Glendale, robbery crimes under California Penal Code Section 211 PC are taken very seriously by prosecutors and judges. Those convicted of robbery offenses can expect to be hit with stiff sentences. Under California’s Three Strikes Law, robbery is classified as a strike offense. This means that if the defendant is charged with future offenses, the penalties would automatically increase. Under the law, the crime of robbery involves using force or fear to take property from another person. The nature and value of the property do not matter. 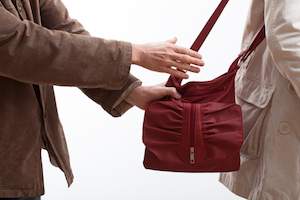 In many instances, a robbery offense is carried out via a threat or using a weapon. A person who is convicted of a robbery crime would face a prison sentence of up to five years. If a weapon was used as part of the robbery or if someone was hurt, additional prison time will be assessed. A Glendale robbery crime can be charged as either robbery in the first or second degree. First degree robbery involves offenses that are committed inside another person’s home, as part of a carjacking, at an ATM or where the victim is a taxi driver. If these conditions are not present, the crime would be considered second degree robbery. Defendants who are convicted of first degree robbery face up to nine years in prison. The sentence for second degree robbery is up to five years in prison. The defendant would also be required to pay victim restitution to compensate the victim for his or her losses. Robbery is always a felony and those convicted would lose certain rights, including the right to own or possess guns and the right to vote in elections. The defendant took control of property that did not belong to him or her. The property was taken from another person’s immediate possession and presence. The taking of the property was not consensual. The defendant took the property by using force and/or fear. AND the defendant’s actions were intentional, meaning that he or she purposefully took property in order to permanently remove it from its true owner or to keep it for so long that the value or the owner’s enjoyment of the property was diminished. The intent to take away the property must have been formed before or during the time that the property was actually taken from the victim. In addition, fear under California Penal Code Section 211 PC is considered a threat of injury to the other person or the threat of damage or injury to that other person’s family or property. Various defenses may be applicable to Glendale robbery allegations, depending on the facts of the case. If the property involved belonged to the defendant, or if the defendant had an honest and reasonable belief that the property belonged to him, the defendant would not be criminally liable under California Penal Code Section 211 PC. Even if robbery charges would not apply, the defendant could still be charged with criminal threats pursuant to California Penal Code Section 422 PC or battery under California Penal Code Section 242 PC depending on the circumstances of the offense. As discussed above, certain aggravating factors can increase the penalties assessed on a robbery offense in Glendale. If there was more than one victim, the prosecutor is allowed to charge a count of robbery for each victim involved. Where a gun was used to commit the robbery, the defendant could be sentenced to prison for a period of up to ten years. That prison time will increase to twenty years where the gun was fired during the robbery. If you or someone you know have been charged with a robbery offense in Glendale, it is crucial that you go over your situation with a Glendale Criminal Defense Attorney right away. As a former Deputy District Attorney with over 14 years of prosecutorial experience, Glendale Criminal Defense Lawyer Michael Kraut is highly regarded in Glendale as a tough litigator who possesses an in-depth knowledge of the law. Mr. Kraut understands how best to fight robbery cases and works hard to ensure his client’s rights are absolutely protected. For more information about Glendale robbery offenses, and to schedule your free consultation, contact Glendale Criminal Defense Lawyer Michael Kraut at the Kraut Law Group located at 450 North Brand Boulevard, Suite 600, Glendale, CA 91203. Mr. Kraut can be reached 24/7 at 818-507-9123.